The historic Holbrooke Hotel in downtown Grass Valley plans to close in mid-February for renovations — marking a change of plans for the hotel’s new owner — Sierra Foothills Report has learned. 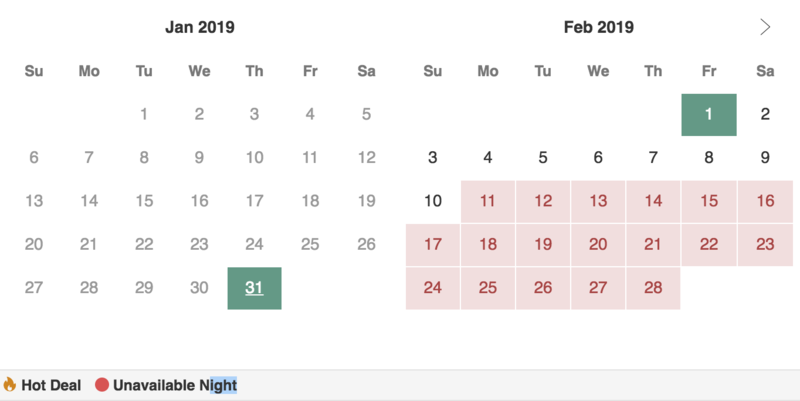 Guests can no longer book rooms after the night of February 10, according to the hotel’s website. Several sources confirmed the Gold Rush-era hotel on West Main St. would be closing until renovations are completed. This is a switch from the initial plans: “Recently brought into the National Exchange Hotel Company family, the Hotel will remain open during an extensive renovation, restoring the property to its former glory,” as its website states. The decision to close the Holbrooke for renovations comes as the National Hotel in Nevada City is not expected reopen this year, as originally planned. The historic hotel on Broad St. requires more work than initially planned to be brought up to code. The two historic hotels — anchors for the neighboring towns of Nevada City and Grass Valley — are supposed to be the first two properties in the National Exchange Hotel Company’s collection of boutique hotels. Jordan Fife, managing partner for National Exchange Hotel Company, in conjunction with Eastern Real Estate launched “a new industry defining hospitality firm,” according to a press release announcing the sale of the National Hotel in February 2018. Brian Kelly is a principal of Eastern Real Estate, which he co-founded with Dan Doherty in 2000. 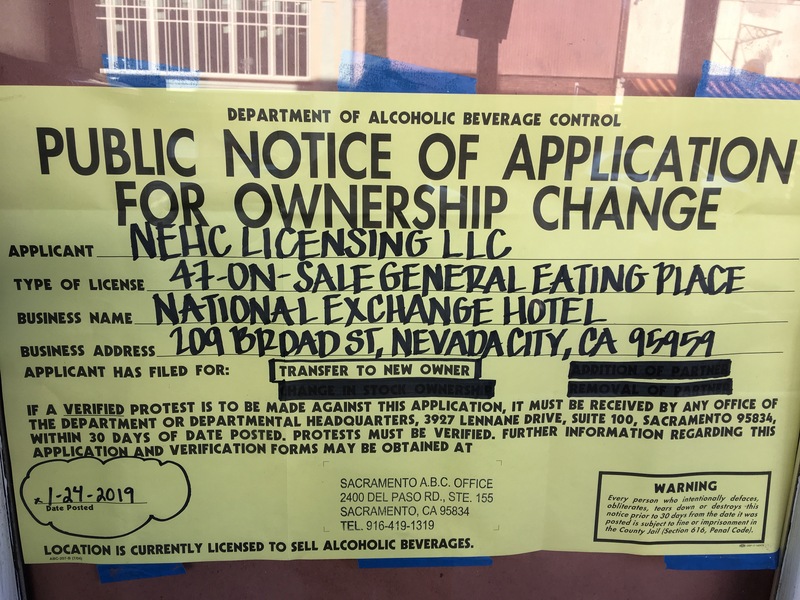 This is the “pending” document that “NEHC Licensing LLC” has with the California Department of Alcoholic Beverage Control for the National Hotel. It lists Brian Kelly as the Managing Member. A sign (see photo) is posted in the window of the National Hotel. This is the “active” document that “NEHC Licensing LLC” filed with the California Department of Alcoholic Beverage Control for the Holbrooke Hotel. It also lists Brian Kelly as the Managing Member. I hope they’ve got deep enough pockets to pull this off. Having just one of those two hotels renovated and up to the standard of being a tourist destination would be such a boon to our economy.